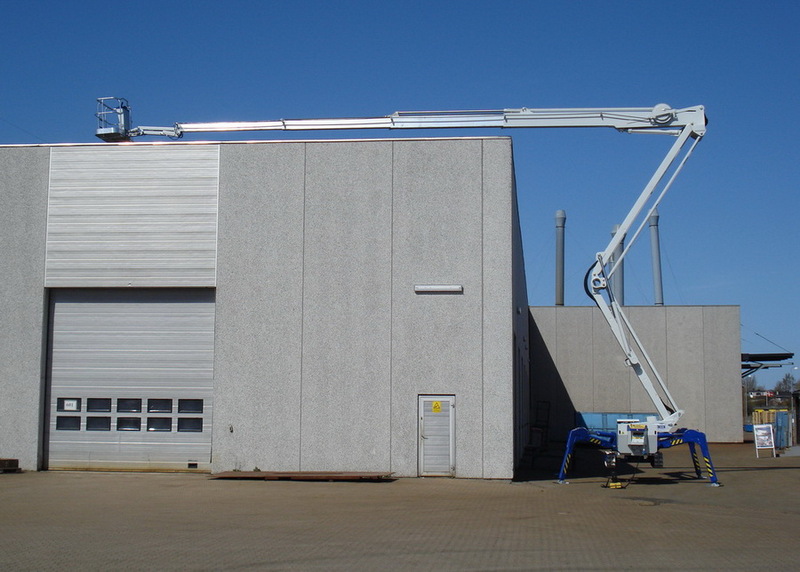 The Falcon Spider work platforms on crawler chassis are available with working heights of 32 to 52 m.
All models are specially designed for maintenance work on high buildings. 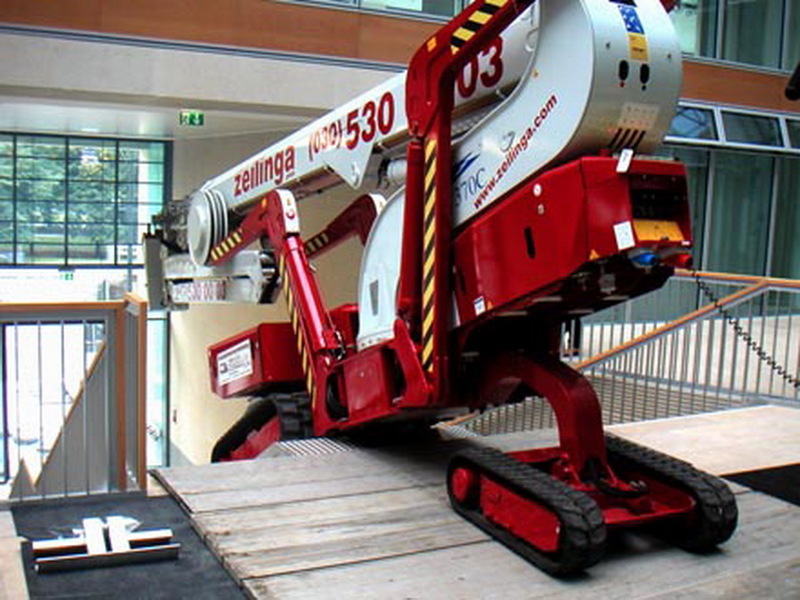 The „Spider“ distinguishes itself as an extremely compact, flexible and manoeuvrable work platform. The moveable jib easily overcomes obstacles and can pass through doors from a width of 1.2 m.
The outriggers can be individually adapted to the space available.